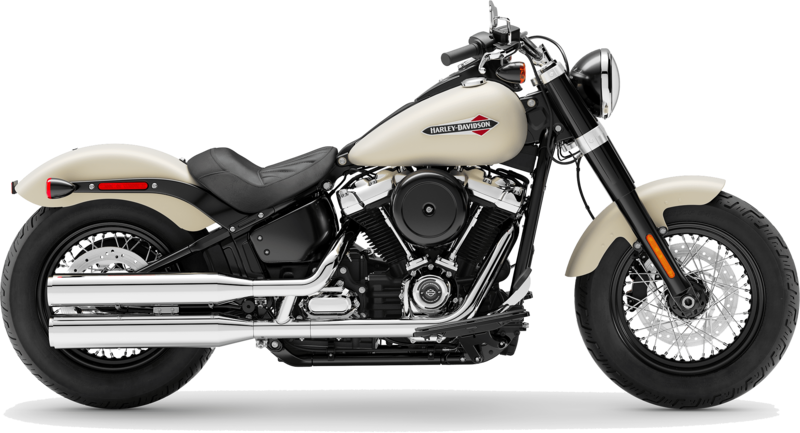 The new 2019 Harley-Davidson® Softail Slim® models are for sale at Latus Motors Harley-Davidson. 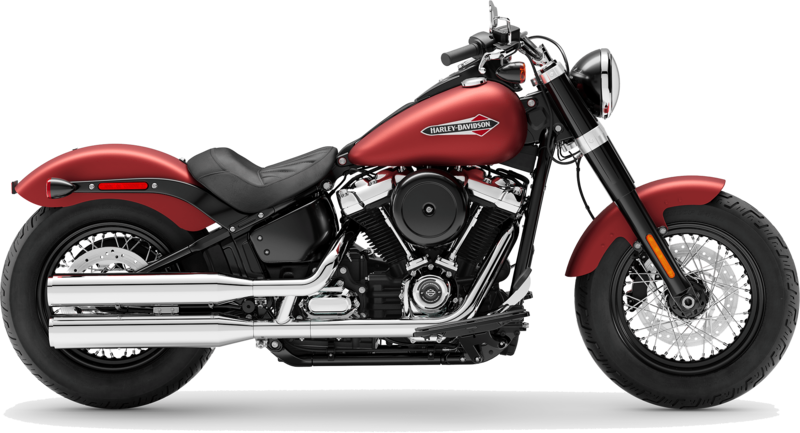 Find our local Harley® dealership near St. Helens, Oregon. This new Harley-Davidson® Softail blends raw bobber style with dominant performance. Powered by a Milwaukee-Eight® 107 V-Twin, riders will enjoy smooth shifts, a soul-satisfying rumble, and crisp acceleration. Visit our Harley® dealer near Portland to see the vintage Harley-Davidson® style of this 2019 Softail® in person. Our local motorcycle dealer is here for all of your riding needs. The 2019 Harley-Davidson® Softail Slim® boasts iconic style, back-to-basics attitude, and a low-slung, tuck-and-roll seat. The 2019 Softail® bikes deliver the classic Softail® styling elements with modern responsiveness, features, and stopping ability. From new and used motorcycles to custom accessories to monthly rides with Latus, we are your home for all things Harley-Davidson®. If you are shopping for genuine Harley-Davidson® apparel, helmets, and more, you'll find the riding essentials you need in our accessories department. While you're there, take a look at the custom motorcycle parts for sale that can make your Harley® representative of your style. If you are still trying to decide which 2019 Softail® is right for you, we invite you to visit our dealership. Hands-On experience is the best way to determine your next new motorcycle. Book your road test on a 2019 Softail Slim® today. Get the best of yesterday and tomorrow with a 2019 Softail® Slim. The high-performance front suspension and rear mono shock are canyon-ready. Signature LED forward lighting will light your way home when the sun goes down and alert other drivers to your presence. If you are looking for an affordable motorcycle loan, our finance department is here to help you decide if it's better to lease or buy. Make the quick trip from Portland, and meet the full selection of 2019 Softail motorcycles at Latus Motors Harley-Davidson today. This new 2019 Softail® is bathed in chrome from headlight to tailpipe. The ideal mix of raw bobber style and a modern ride. 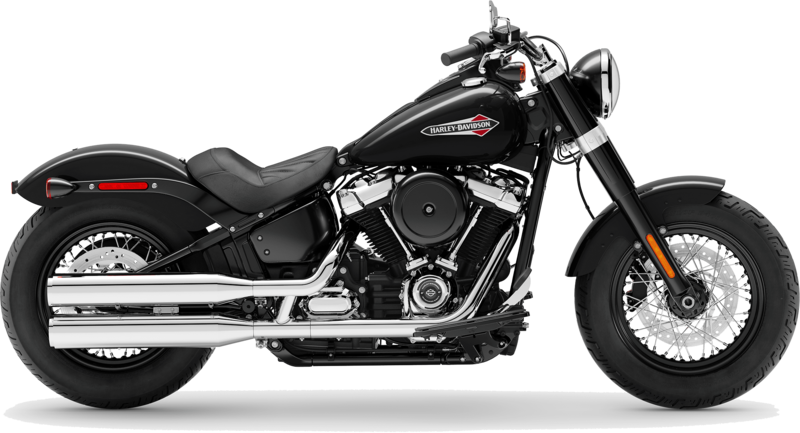 The High Output Twin Cam 103B™ engine and Softail® Slim deliver unmistakable old-iron attitude.